I wanted to take the time to give commendations about your staff there at Quality Concrete. Your company is small enough to be personable with customers and large enough to be helpful with large commercial jobs. Kelley was helpful with our order and worked with Brenda in making sure that we were prepared for the cold weather during the delivery. The driver, Sean was was patient and cooperative as we tried to find a good location to dump the concrete. Thank you and your team for such great service and we look forward to working with you guys again. Sean has an extensive knowledge in Diesel truck operation and repair and has been in the business for 15 years. Sean has been with Quality Concrete for 4 years and has been certified by Zimmerman Industries to operate our concrete trucks. Sean enjoys going out to contractors using us for the first time and seeing their reactions to the Zimmerman Mobile Mixer we have. Delivering Concrete To Asbury Park, NJ. 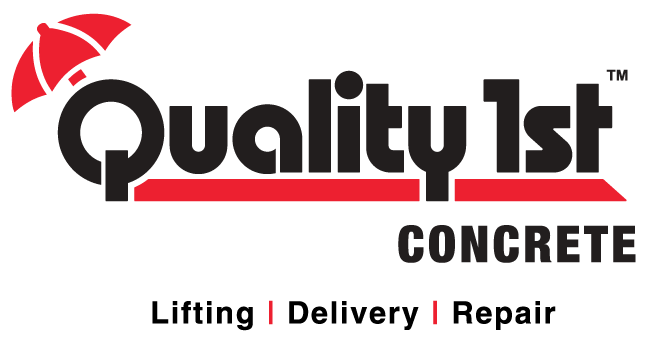 Quality Concrete has worked together with our Quality Contracting division to replace damaged concrete around commercial buildings and communities throughout the estate of New Jersey. The Walkway at a Community in Monroe Township, NJ was cracking and crumbling. Some of the concrete sections had settled and were creating a tripping hazard. Quality Concrete delivered the right of concrete needed for the job using our metered trucks, and our Quality Contracting crew performed the framing and finishing of the walkway. The sidewalk at a community in Monroe Township, NJ was crumbling and needed to be replaced. Quality Concrete delivered the right amount of concrete for our contracting Division so they could perform the replacement of the sidewalk. The crew at the job site did a great job, floating, finishing and edging the concrete.